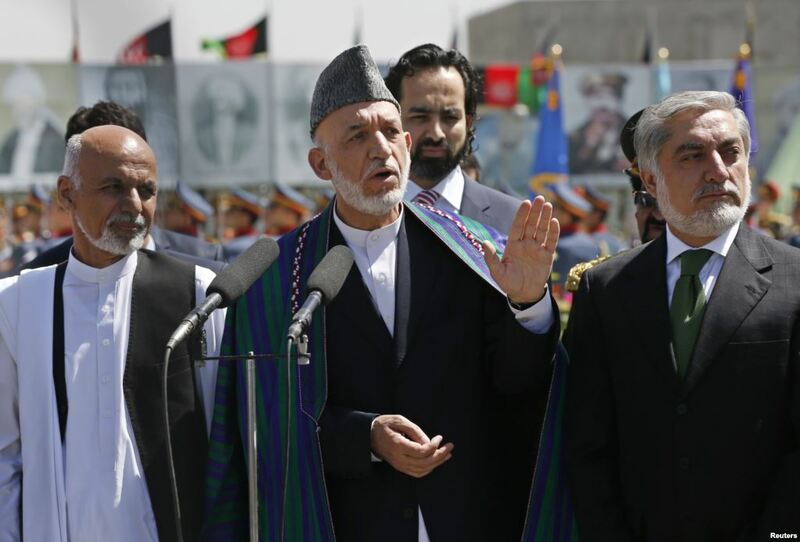 JNN 24 Aug 2014 Kabul : Afghan President Hamid Karzai said Saturday his successor would take office on September 2, despite a slow-moving vote audit designed to eliminate fraudulent ballots cast for the two contenders, and the final decision for the Post of President is still in the Offing. “The Afghan government is totally ready for the inauguration ceremony of the new president on the date of September 2,” the presidential palace said in a statement. The date would not change, according to the statement, which was issued following talks between Karzai and the head of the UN mission in Afghanistan Jan Kubis. The new president was due to be inaugurated on August 2, in Afghanistan’s first democratic transfer of power, but the government has been paralysed for months after the first round of the presidential election failed to produce a clear winner and the second round of voting in June triggered allegations of massive fraud. The audit has checked more than 60 percent of votes, and the next stage of invalidating fraudulent ballots will likely raise tensions between the candidates — who are also meant to be in talks about a post-election unity government. The United States had been pushing for the next president to be inaugurated before a NATO summit starting on September 4, which should sign off on follow-up support after the transatlantic alliance’s combat mission in Afghanistan ends this year. The political crisis would worsen sharply if either candidate pulls out of the audit or rejects its outcome, with possible angry street protests in Kabul by aggrieved supporters set to pose a major challenge to the national security forces. This entry was posted in Asia Pacific and tagged Abdullah Abdullah, Afghan government, AFghan President, afghan president hamid karzai, afghanistan, Ashraf Ghani, Hamid Karzai, mission in Afghanistan, UN mission in Afghanistan Jan Kubis. Bookmark the permalink.